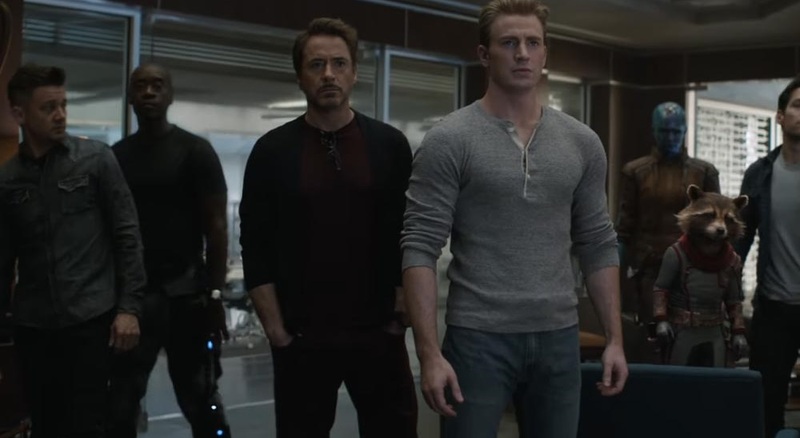 In a massive blow to Disney and Marvel Studios, Avengers: Endgame footage has leaked online ahead of next week's opening. On Youtube user SosaPotence300 uploaded a video containing five minutes of footage from the film (see below). And According to many twitter users, The Avengers: Endgame leaked footage features "all the best parts". But why just take their word for it? Below is the footage (which is up at the time of this writing) and a description of the footage. Most likely this will be down within minutes, but we will continue to update the video as we can. The clip opens with Captain America working with Professor Hulk, Ant-Man, and Black Widow. It seemingly confirms that time travel will be happening in Endgame as Professor Hulk jokes that he might lose Ant-Man in the 1950s. It appears they are working on a time travel device. The video then switches over to a new clip where Professor Hulk embraces an extremely bearded Thor who is delighted to see him. He then gives Rocket Raccoon a noogie. Korg and Miek also make a cameo in the scene. The next clip takes the Avengers back to the Battle of New York from the first Avengers movie. We get a new shot of Hulk destroying some of the Chitauri. Following that scene there appears to a scene of Captain America fighting against Captain America. Then we get a huge spoiler. Hulk puts on an Iron Man technology Infinity Gauntlet that appears to have all of the Infinity Stones equipped. The Infinity Gauntlet appears to be damaging him as he’s unable to manage the power. The clip cuts to Hulk appearing to get crushed underneath a building that is sinking into a pool of water. Cut back to the Thanos where Captain America appears to be wielding Mjolnir and is using it to give Thanos a beating. At one point he tosses his shield in the air and then throws Mjolnir for a double whammy attack on Thanos. We get quite a bit of Captain America beating up on Thanos. The scene then cuts to Thanos without his helm, but in his full armor. It shows an entire army of Avengers lined up against him. Captain America shouts, “Avengers Assemble!” A massive army of Avengers that includes the Valkyries charge to take on Thanos. We then get a shot of Iron Man embracing Spider-Man. It’s hard to make out what he says, but he does say, “we died.” It’s an emotional embrace and definitely a callback to Spider-Man’s dusting in Avengers: Infinity War. The next scene shows Thanos’ ship in ruins as it comes crashing down. Captain Marvel rises from the ashes, and she no longer has her long hair. In fact, it appears to be in a pixie cut. There is a whole lot going on here and much to unpack. It seems the video plays in order but cannot be 100% certain about it. You came this far now all that is left is to voice your opinion about the leak below.